Hey friends, today with the help of this post, I would like to share some jokes, pranks, gigs on 1st April. As we all know that 1st April is the day of making fun with friends and family. 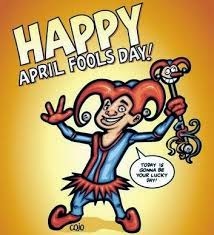 It is the day when people pranks and jokes and making fool to others. Here we are enlisted some SMS, Text, Pranks, Jokes etc. You can send these jokes, pranks and sms to your special ones, to your friends, family members etc. Via sending these messages you can made your day special and memorable. But keep in mind that do not crossing your limits. It is day of fun and doing crazy things with your friends.